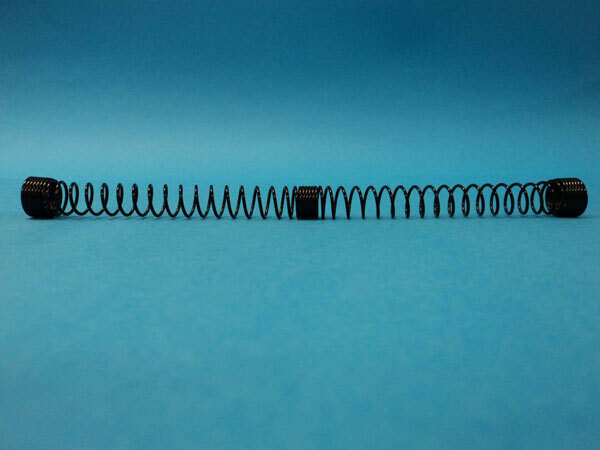 Since the original Music Wire springs intended for Automotive Sub-Assemblies became easily tangled, Maverick Spring set out to redesign the springs to inhibit future tangling. In the first case, a spring for an adjustable lumbar support mechanism, we included two sections of closed coils within the body of the spring. 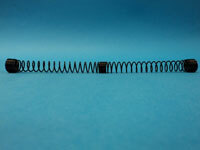 The wire size and active coils were adjusted to maintain the spring rate. The length of the closed coil section was longer than the pitch, resulting in springs that were less likely to intertwine and tangle. 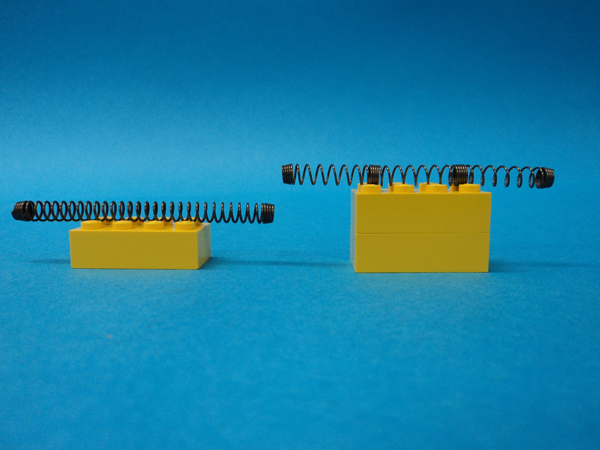 The corresponding increase in solid height led to a decrease in stress in the spring at solid height, creating a spring that would not take a set when compressed to solid height. This solution eliminated the need for a potentially expensive set-remove operation. In the second case, a much larger spring for a parking brake assembly, the coils were redesigned to include one section of closed coils in the spring, with the section of closed coils running longer than the pitch of the open coils to reduce tangling. 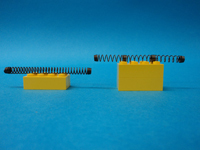 As with the other springs, the wire size and active coils were adjusted to maintain the spring rate, and the final spring was much more manageable. For more information about this project and Maverick Springs redesign services, please contact us.